“How much mediclaim should I have or one should have?” These 5 points in this article will give you answer for it. Exactly how much health insurance / mediclaimone should have for self and family? Does it have any formula to calculate it? Should it depend on job profile, city and income level? These are the most common questions which pop up when a person starts thinking about health insurance/mediclaim. So let us try and find out the most appropriate answers. First important factor in deciding the health insurance/mediclaim cover is your ability to spend on premium. Because premium is directly, proportionate to the insurance amount. Depending upon the insurance amount, Insurance Company, type of the insurance and other additional taxes you will have to pay the premium. You need to work out on your affordability to pay the premium. 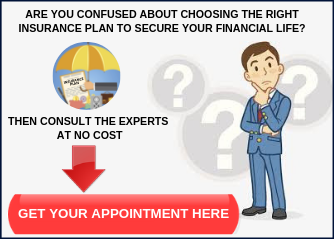 And after assessing that capability, you should choose your health insurance type. Because not everyone can pay the premium for Rs 20 lacs cover, as it will be very huge. In order to answer the question “How much Mediclaim should I have?”, you need to know how much mediclaim premium you can pay. So If you are facing cash crunch, go ahead and buy a health insurance or mediclaim policy with a small coverage amount, it will act as a boon at the time of a medical emergency and will help you offset the hospital bill. Do not wait for your financial situation to change, remember you can always increase the coverage amount later. In short, either your 100% annual income or 50% annual income + medical expenses during last 3 years should be your basis while buying health insurance plan. This formula will answer, How much Mediclaim should I have. If you have a family history of lifestyle diseases, the probability of it being passed on to the next generation is higher. Any individual who is in a genetically high-risk category should buy wider health insurance coverage when he is young and healthy. How much Mediclaim should I have, depends on the family history as well. Age is an important factor that must be considered while deciding the amount of coverage. For instance if you start at age 25 you can buy health insurance worth Rs 5- 10 lakhs and then increase it by 10- 15 % every year. Buying a health insurance in early life ensures a lower premium as you would have fewer pre exiting diseases. 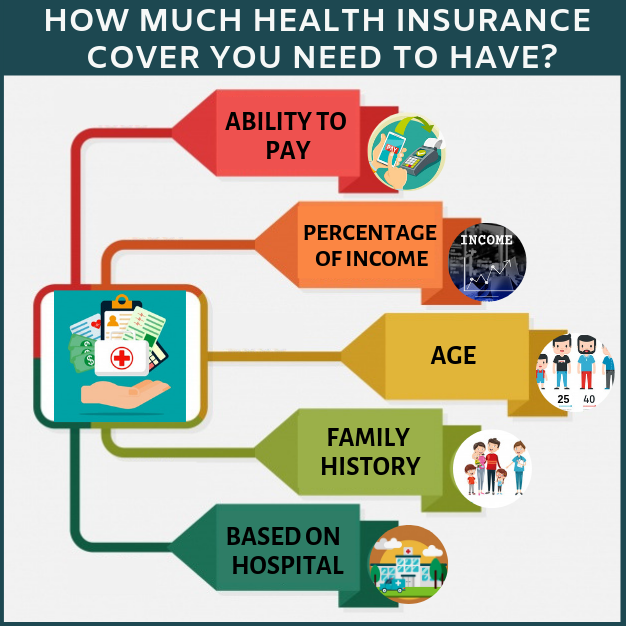 A middle-aged person or any individual who has crossed 45 years needs to buy a higher coverage amount as with growing age the options of buying health insurance decreases. Secondly, the cost of the coverage increase and if the individual develops health issues, the health insurance provider tends to exclude pre-existing diseases, which defeats the true reason for buying a health insurance policy. The mediclaim coverage, I should have, needs to increase with age. There are different grades of hospital. For a similar kind of treatment, hospital A may be charging Rs.x wheras hospital B will be charging 3x. Depending on what kind of hospital or grade of hospital or class of hospital you would generally choose to be hospitalised, will determine the amount of health cover required. Verdict: How much health insurance/mediclaim coverage do you need? There is no thumb rule to it. 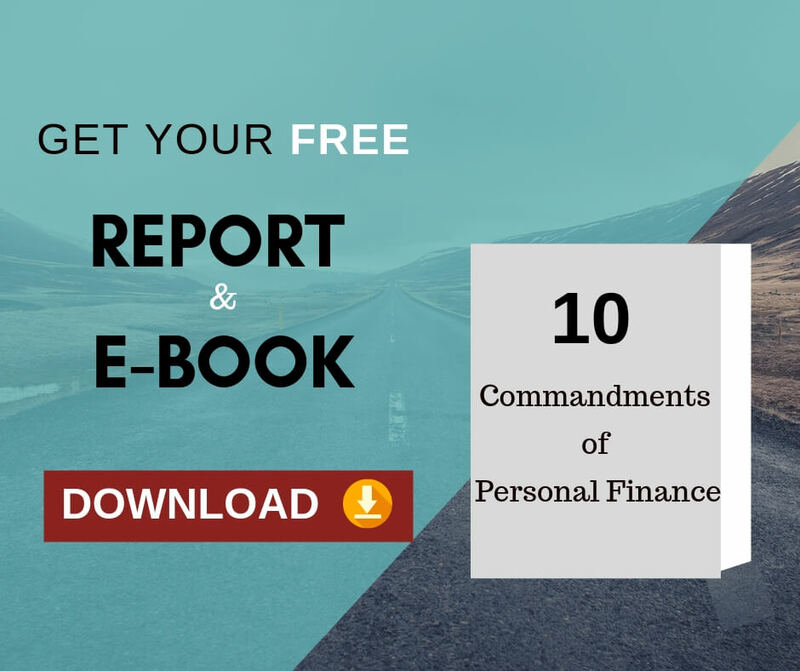 Each individual is different and hence his health insurance coverage or mediclaim need is different, it is important to meet a dedicated financial advisor who understands your personal and family requirement and helps you make a wise decision. 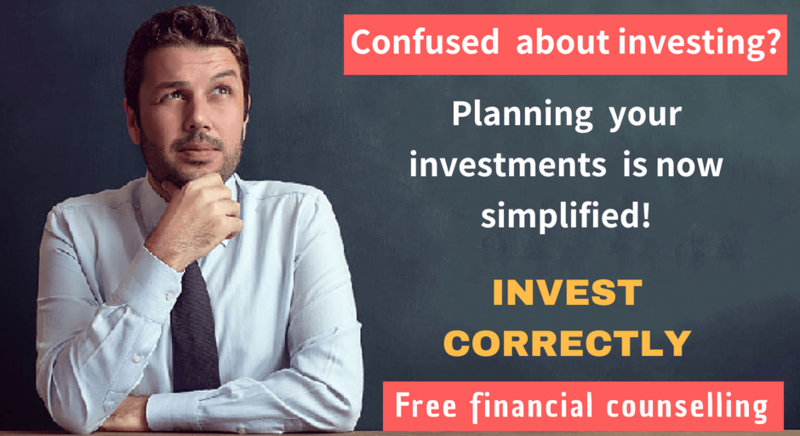 Next Next post: How to take Realistic and Rational Investment Decisions than can unlock Wealth?